Thinking of writing a book? They say that every person has one good book in them, and why shouldn’t they?? Here at JB Writing Services I actively encourage those wishing to put pen to paper, what a wonderful way to express yourself and bring joy to those around you. I see authors who write about local history, tell far-flung stories, dream up the most amazing poetry and share their knowledge through books of all shapes and sizes. The biggest problem for them was getting published! Over the past decade, traditional publishing has taken a twist. Publishing a book has always been a dream for many of us, but unfortunately, sometimes feels out of reach. Endless phone calls, chasing agents (if you can get one), sending synopsis (let alone writing them), only to be rejected, left feeling like no one will ever get to read your words. But now that needn’t be the case! With self publishing now readily available throughout Ireland, there is absolutely no reason why your book can’t take centre stage, no agents fees, no publishers cut, sure a little bit of legwork is involved in promoting your book, but think of the fun you can have with that & it’s all on your terms! I work with a self publishing company here in County Cork called selfpublishbooks.ie. The guys here really know their stuff and go out of their way to make sure your book gets all the attention it deserves. Pop over to their website & have a look at some of their work, incredibly impressive and without doubt affordable to those who wish to go down the self publishing route. If you don’t currently have the means to fund a ‘physical’ book, why not boost your savings pot by selling your book in a downloadable format first. Platforms like Amazon, iBooks and other online book portals can now make your dream of being a published author a reality. You can use the proceeds to fund a self published, ready to sell ‘physical’ book! So you have a book idea, you’ve written some of it, maybe even completed it. Your family thinks it’s good, your friends think it’s good, heck….you think it’s the best thing ever written. But have you looked carefully? I bring a fresh set of eyes to your book, I don’t just read it, I audit it. Are your commas, colons and full stops all in the right place? Is your spelling correct? Are your sentences structured in a readable way? Are you ready to push the ‘publish’ button? So if you’re ready to take the plunge and need someone to give your book the attention it deserves, give me a call or pop me an email. Don’t leave it to chance, there’s nothing worse than picking up a book that just isn’t ‘quite there yet’! For more information on self publishing please don’t hesitate to get in touch with me any time using the contact form. 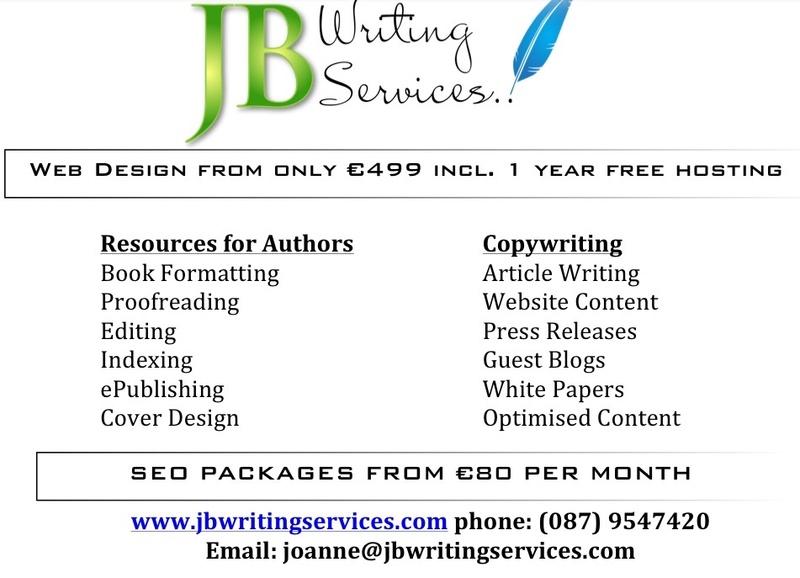 Special Offer, €499 for a 5-7 page website & 1 year free hosting! Social networking, now and in better times, has proven to be one of the most invaluable methods for marketing any small business. Not since the introduction of email have we seen such an impressive way to get our message to the masses. For small business owners like you and I, Social networking is probably the most powerful promotion tool you can get your hands on. The fact that little or no investment is required makes it all the more appealing. Our consumers have embraced social networking sites like Facebook, Twitter, Linkedin and Youtube. The truth is people don’t communicate the way they used to, but they do talk more and through different types of media. Passing information from one customer to the next, a Chinese whisper if you like, has always been a great source of business. Social Networks are the new word of mouth. Facebook alone has over 600 million active users, that is nearly 10% of the worlds population, all competing to be heard. I for one, intend to get my slice of pie, and take advantage of these statistics. If you haven’t already done so, I would highly recommend devising a Social Networking strategy to boost your business. Here’s a very encouraging statistic; did know that shoppers on facebook spend between 7 & 10% more than any other online consumer? This seems to stem from the more intimate relationship between consumer and vendor that is developed through the Social Network. It’s not difficult to understand, that most consumers are more likely to purchase goods or services from someone they know they can trust and who makes their brand more accessible and available to everyone. Can you afford to ignore these opportunities? Looking for a quote or some further information? Drop me a line anytime.